You finally received an offer from ready a willing buyer on your home. You feel relieved and excited until you realize this offer is LOW. It’s a frustrating feeling, especially when you haven’t had a whole lot of offers yet. What can you do? Before you outright refuse a offensively low offer, consider that with a little negotiation and counter-offering, you can turn that lowball offer into a closed sale. Just set your emotions aside, and focus on drafting a carefully crafted counteroffer that keep the buyers involved. Regardless of how low an offer is, it means that you have found someone that wants to purchase your home. This is good news. Remain calm, be cordial and respond. 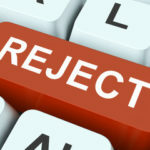 You can counteroffer, or reject the offer outright, but whatever you do just don’t lose your cool. It’s rare that an initial offer gets accepted for a home. There is always a certain amount of negotiation and counter-offering back and forth, so think of this lowball offer as a jumping-off point. Talk to your agent about what the best way to respond would be. Unless you have received multiple offers, the best thing to do is to write up a counter. Some buyers always come in with a low offer because they believe it is customary, and they are afraid of overpaying for the home. By putting in a counter offer you signal that you are willing to negotiate, while also moving the talks back toward a reasonable price. One strategy could be to lower your price a bit, but remove concessions such as closing cost credit or appliances that may have been in the initial offer. Price is usually number one concern for both buyers and sellers, but this is not always the case. If you have other motivation, it might make sense for you to accept a lower price for your home. If you absolutely must move my a certain date, it might make sense to concede on price if you can get a short escrow, or contingency-free purchase offer. Different sellers have different priorities, and it’s no different with buyers. Finding the perfect match of complimentary needs between both buyer and seller will create a win/win scenario. Consider what terms you can change in the counteroffer to make the deal work. Comps are the main way that home value is determined. 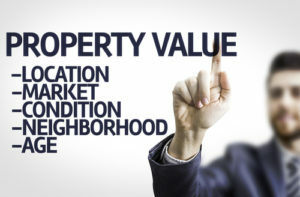 Make sure you are aware of what is for sale and selling in your neighborhood. If the comp prices have deteriorated since you listed your home, your original asking price may now be considered “unrealistic” by the market. On the flip side, the comps might show that your price is right where it needs to be. In that case, you can include the comps with your counter-offer to show the buyer how you are justifying your price. Usually, if a buyer makes a low offer they will include some comps to make the case that the seller’s asking price is too high. Take a look at these comps to see if they are realistic. Ask your agent if these are really good comps that are relevant to your home. The buyers comps are sometimes from other tracts or lower quality homes that simply sell for less than yours. There is a lot you can do to try and remedy a low offer, but some offers are just laughably low. You usually see these offers come in from “cash-investors” who are promising to close in 10 days. Unless you desperately need to sell right away, you are better off ignoring these offers and sticking with traditional buyers. Posted in Real Estate, selling and tagged all cash offer, comps, counter offer, counteroffer, finding comps, how to get the best price for my house, how to negotiate with a buyer, investor wants to buy my house, is my home overpriced, lowball offer, negotiating as a seller, negotiating when selling a house, tips for evaluating low offers, what is the real value of my home.